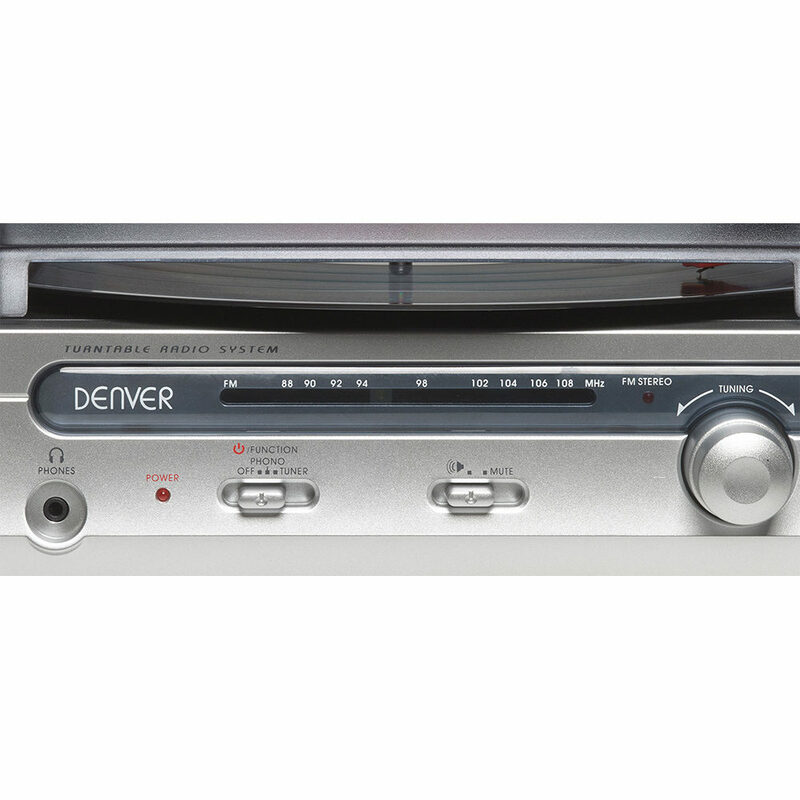 The Denver VPR-130 belt-driven retro turntable in chrome and wood effect is the perfect companion for your vinyl collection. 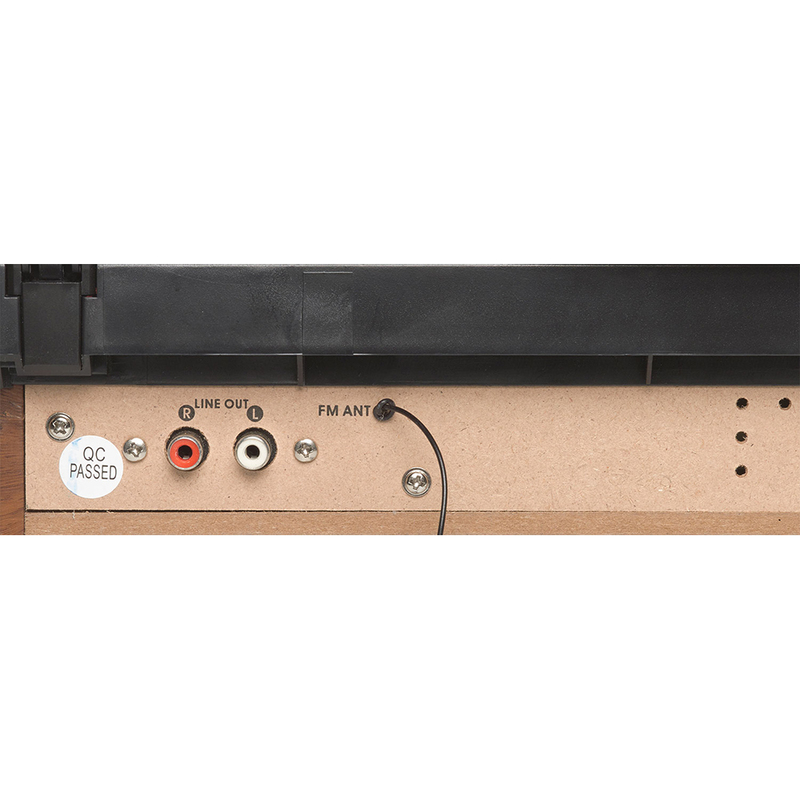 The built-in stereo speakers mean you can simply select a record and play, but if you want to enhance the sound further, you can connect to an external hi-fi or amplifier through the line-out socket. Play your vinyl at either 33.3 or 45 rpm with the two-speed option, and there’s no need to jump up once the record has finished as it will stop automatically. 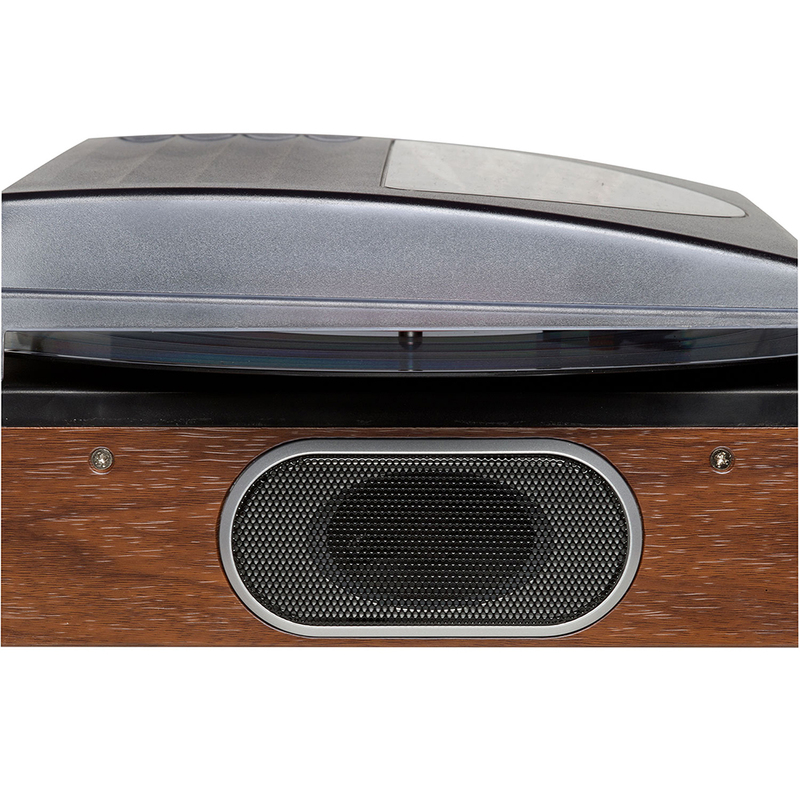 If those around you want some peace and quiet plug in your headphones for private listening. 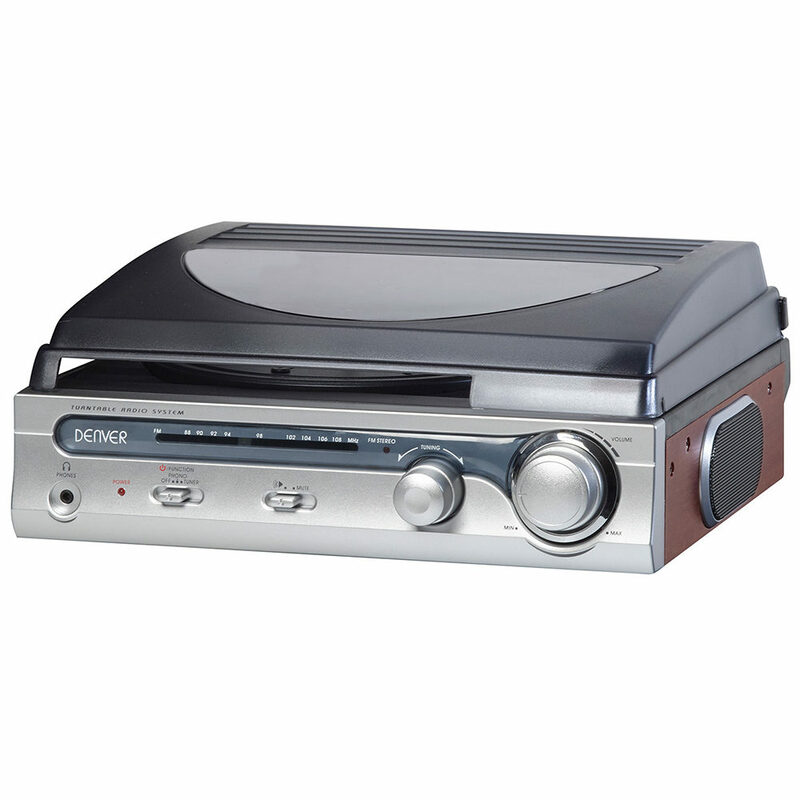 This stylish system also has a built-in FM stereo radio. 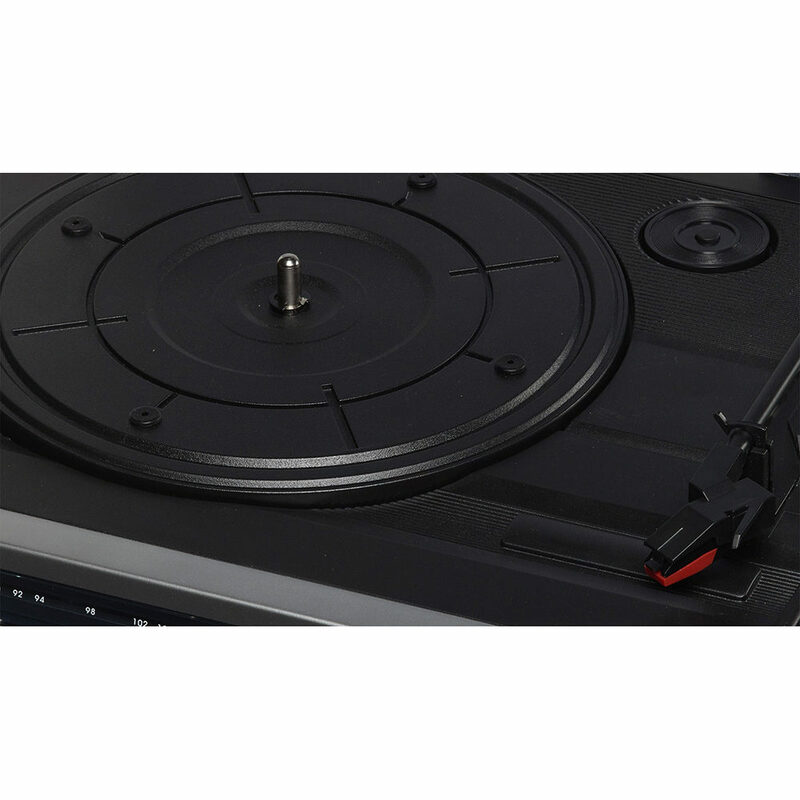 This belt-driven turntable looks good, sounds great and couldn’t be easier to use. 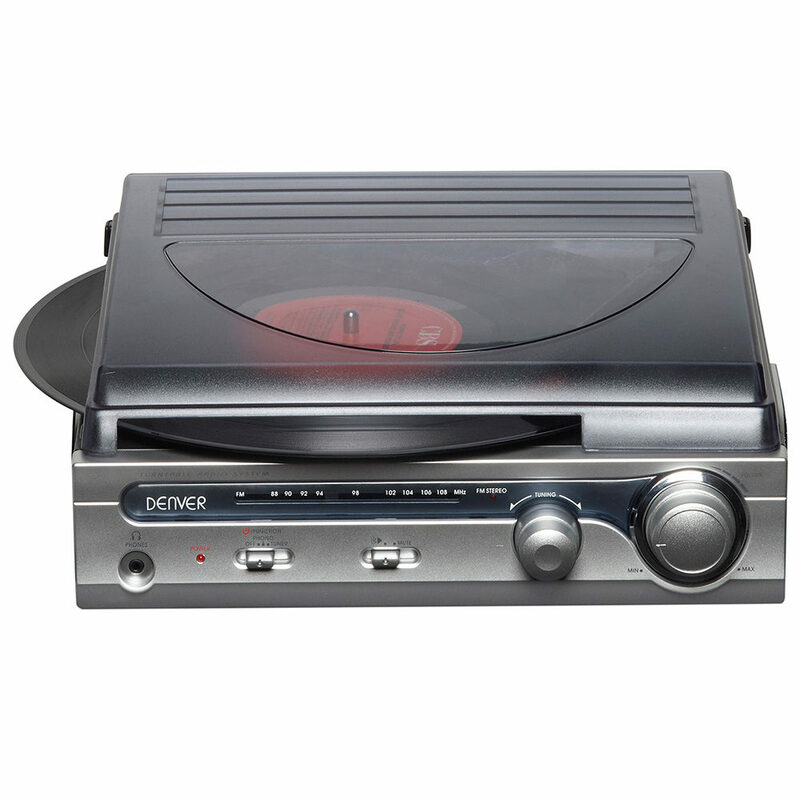 It has two built-in speakers so you can simply plug in and play, or connect to an external hi-fi or amplifier through the line-out socket to enhance the sound further. 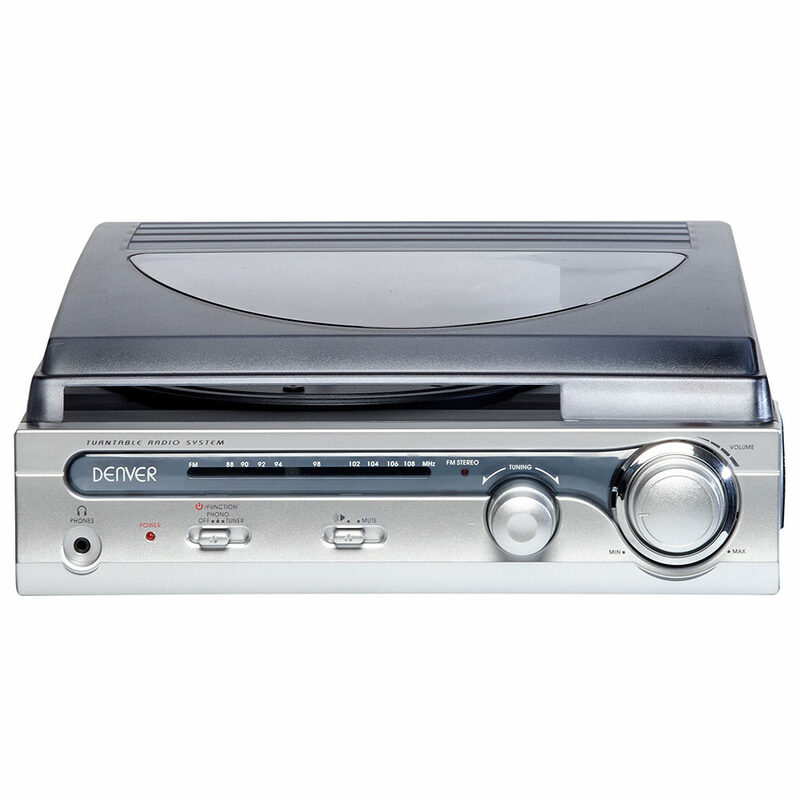 The built-in stereo radio furthers your choice of entertainment. 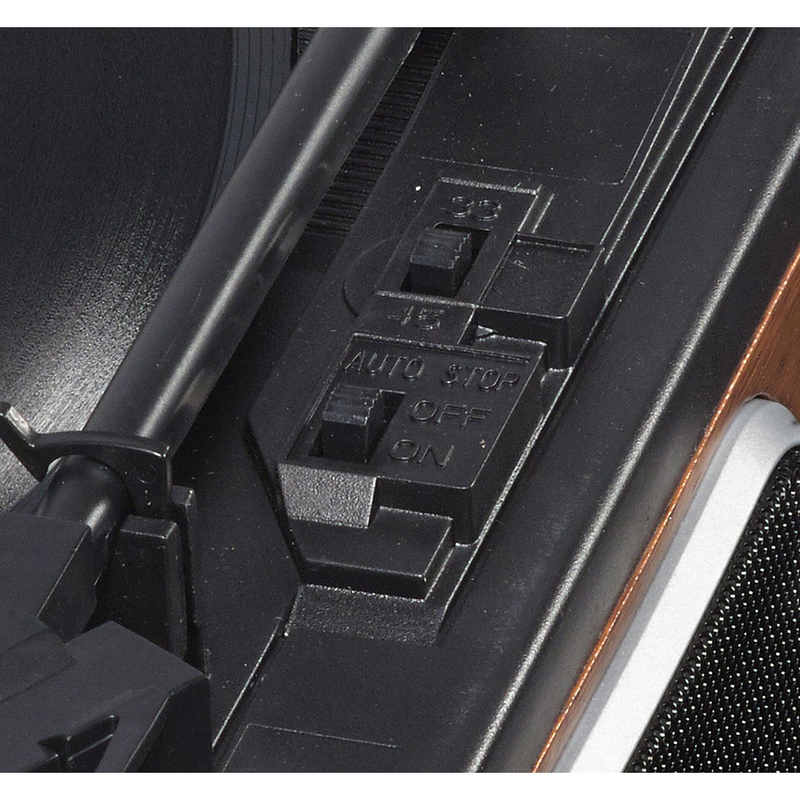 The two-speed option enables you to adjust the speed to 33.3 or 45 rpm to suit your selected record. 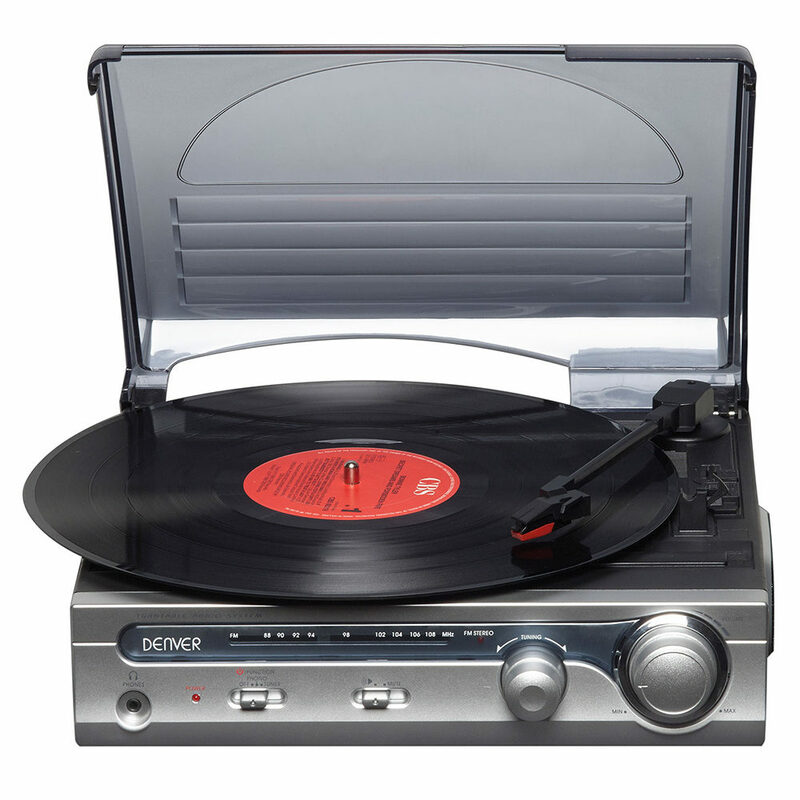 There’s no need to jump up just as you’re just starting to relax as the record will automatically stop once it has finished playing. If you’re in the mood for music and those around you are seeking some peace and quiet, simply plug in your headphones for private listening.